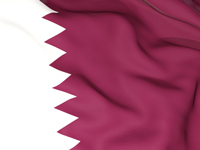 Exciting teaching opportunity in Qatar!! Female Upper Primary Teacher NEEDED! If you are a qualified Upper Primary teacher with a minimum of 1-year teaching experience and is looking to start an international teaching position in September 2018, this is a great opportunity for you!! Our client is a private female international school and offers educational service for children aged from 3 to 18-year-old and it currently has just over 1,000 female students in the school. The school adopts the British curriculum with Arabic elements and offers a unique bilingual education to its students. The school provides excellent facilities such as IT rooms, science labs, good size of classrooms to create a good teaching and learning environment for both the students and teachers.